Why Affairs of the Vine? The great red wines of Bordeaux are often blends of five classic grapes – Cabernet Sauvignon, Merlot, Cabernet Franc, Malbec, and Petit Verdot. At this workshop, we will taste some great examples of wines made from these grapes. The winemakers will then discuss their blends and why they believe they have created the best wines possible from the Bordeaux varietals. 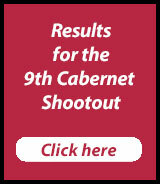 Blind taste twelve of the top-rated wines from the 10th Annual Cabernet Shootout. Taste the selected wines and pit your palates against the expert panel of judges. Rate your preferences and vote for your favorites. 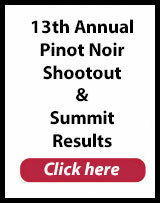 Taste award winning wines from the 10th Annual Cabernet Shootout and other icon wines that are important to the Reno scene. Meet winemakers and discuss one on one their approach and philosophy to winemaking. Qualified Trade and Media ~ Please! Call 707-874-1975 to reserve your ticket. Tickets will be available online shortly.